Iconic video game franchise Doom is reportedly getting a second chance on the big screen according to Sharknado actress Nina Bergman. The actress/singer took to social media earlier this week to announce that she has been cast in the upcoming Doom Remake, which is being made by Universal. 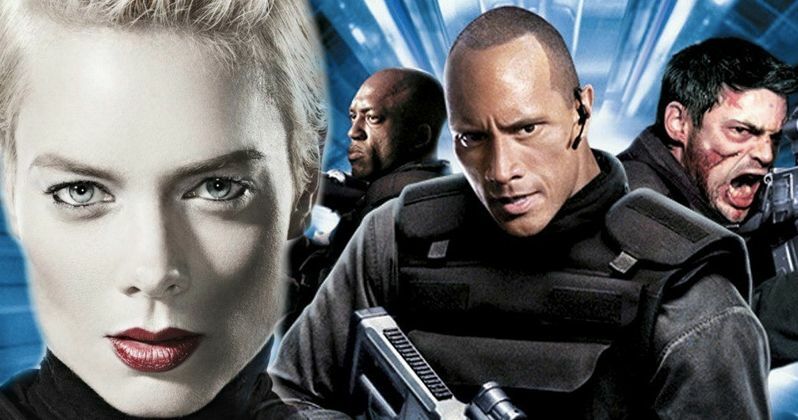 The original 2005 movie starred Dwayne "The Rock" Johnson and was universally panned, mostly for abandoning the source material and making a pretty long and drawn out movie that many considered to be a giant bore. Fans of the Doom franchise have wondered for a long time about a potential remake or reboot of the 2005 film, and now, it looks like it's set to go into production pretty soon. Nina Bergman announced the existence of the new Doom movie on Twitter but did not state if it was a remake or reboot of the video game adaptation. Additionally, she didn't mention who was directing the project, instead calling the mystery director "cool." Bergman had this to say. "Wow, I'm doing the next Doom movie w/Universal Pictures! I just signed all the paperwork. I get to go back to Bulgaria again and work with some of my favorite people. This movie w/a super cool Director and my new record coming out, I feel like the luckiest girl in the world." When Nina Bergman was asked about how it will compare to the original Doom movie, she replied that the new movie features a script that is "much better." Other than that, and the fact that they're reportedly scouting locations in Bulgaria, there's no other official information about the new Doom movie from any other sources. We're going to have to take Bergman's word for it at the moment and hope that it does end up a lot better than the first movie. Dwayne Johnson recently released Rampage, which is also based off of a video game and took some time to throw some light shade at the original Doom movie that he starred in. Johnson claimed that Rampage had beaten the "video game movie curse," and reminded everyone that he was in that "stinker" Doom and that he had lived through the curse. The official Twitter account for the franchise jokingly responded with a single word: "Dwayne." Doom is one of the most legendary video game franchises in history, sparking the first-person shooter revolution, so it deserves a proper big screen adaptation. Whether the new Doom movie will be able to do it remains a mystery, especially since so little is known about the project at the current time. On the good side, it really shouldn't be very hard to make a better movie than the 2005 version at all, so Universal definitely has nowhere to go except up. The same can be said about Sony's Masters of the Universe movie. It's almost impossible to make the new movies worse than the originals. You can check out the announcement about the new Doom movie below, provided by Nina Bergman's Twitter account.